Newsflash: the spirit of Douglas Adams lives again. On a distant world at war over cheese. 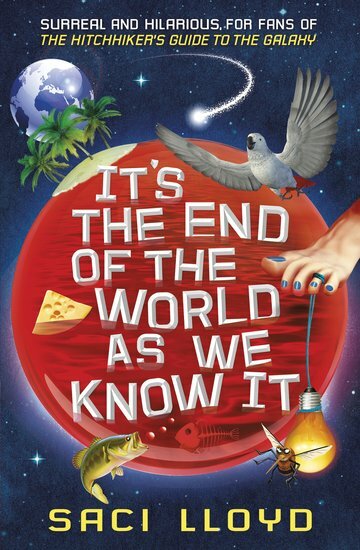 Yup: The Hitchhiker’s Guide to the Galaxy meets Discworld in this awesomely ridiculous epic. Data pirates, zombies, infobots on surfboards. Silly in the best kind of way! Mikey Malone has fallen through a wormhole. Now he’s in a parallel world that is best described as very confusing. It’s ruled over by an evil lolcat, for a start. I Can Haz Cheezeworld, right? Plus, a power-crazed corporation has great plans for the place that might just, oops, destroy Earth. Poor Mikey: he only just got here, and he’s already got a planet to save!